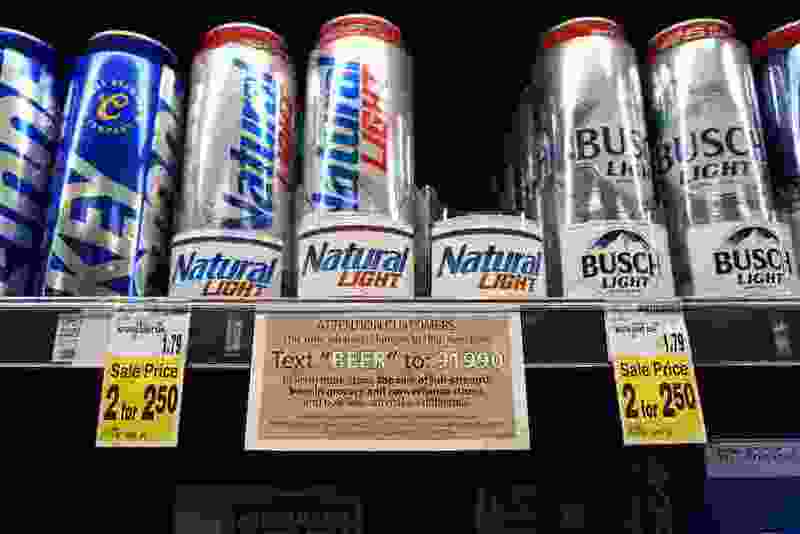 (Francisco Kjolseth | The Salt Lake Tribune) Signs in the beer aisle at a Smith's Food & Drug store encourage consumers to join the Responsible Beer Choice Coalition. The signs are currently in the store at 876 E. 800 South, in Salt Lake City, but will roll out next week in all 50-plus Smith's in Utah. In this now-past session of the Utah Legislature, our masters knew what was best for us on several voter initiatives, and overruled them to fit their ideas instead of voters. And a couple of laws were passed to appease the LDS Corp.
One of those laws was to allow real beer to be sold in Utah in grocery stores and convenience stores. Nationally 3.2 percent alcohol beer is being discontinued, the maximum Utah would allow, outside of the overpriced state liquor stores. Legislators, about 90 percent of whom are Mormon Republicans, didn't want real beer, or so they were told by their master. Instead, they "compromised" by allowing 4.0 percent beer to be sold in the state. So I looked on the internet for brewers that made 4.0 percent beer. The only ones that I could find were local micro-breweries around the country. Budweiser 66 is the only beer made by Anheuser Busch that fits the 4.0 percent category. My question is whether the LDS Corp. and legislators pulled a fast one on each other, either knowing or not knowing that a 4.0 percent beer is not made by any national brewers I could find on line. If so, this means that there will still be nothing sold in grocery and convenience stores, because 4.0 beer is not made, just as 3.2 beer won't be made. Any legislators out there want to answer this question?